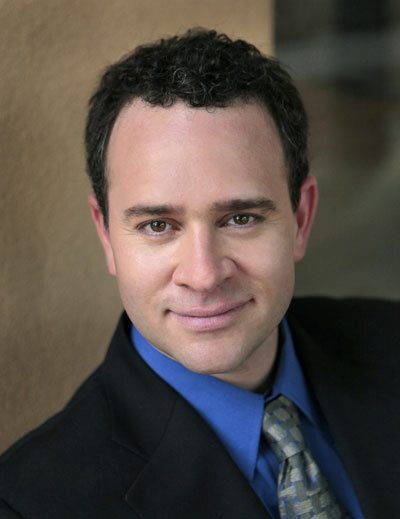 Seattle Opera audiences last saw bass-baritone Patrick Carfizzi in 2010, when he sang Dr. Bartolo in The Barber of Seville. Now he's back as Ping in Turandot, a role which he's been wanting to take on for years. Today, we sit down with Carfizzi and find out why he's so drawn to this role, how Ping's comedy differs from Bartolo's, and why arts education is a cause so close to his heart. 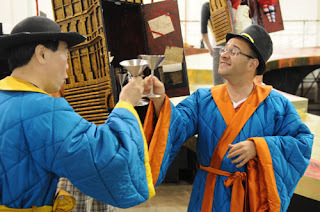 Turandot opens in just over a week, on Saturday, August 4. 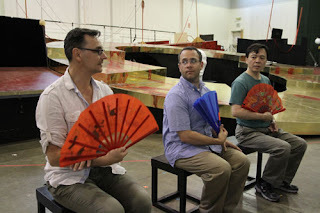 For more information on this production, which runs through August 18, visit seattleopera.org/turandot. We’ve heard Ping is a role you’ve been dying to do. What about it appeals to you so much? I have dreamed of doing Ping for at least the last decade, because he is a fascinating and incredibly important character to the plot, but he also has such gorgeous music to sing. It’s a role I always felt would be well-suited to me, both in character and in vocalism. He’s a lot of fun. He’s just a little confined by his job—which may seem villainous, which may seem evil, but in truth it’s just his task. As much as anyone else, he would like this whole riddle thing to be over. He would like there to not be one more head. When he talks about going back to his “country house,” back to his home, he definitely wants to not just go and rest but he wants to be part of society again. From left to right: Julius Ahn (Pang), Joseph Hu (Pong), and Patrick Carfizzi (Ping) rehearse for Turandot. We were recently talking with Doug Jones, who was here in May singing Goro in Madama Butterfly, and he said, “I honestly don’t think they would want to retire. They like being in the center of power too much.” So it doesn’t sound like you agree with that, at least in regards to Ping. 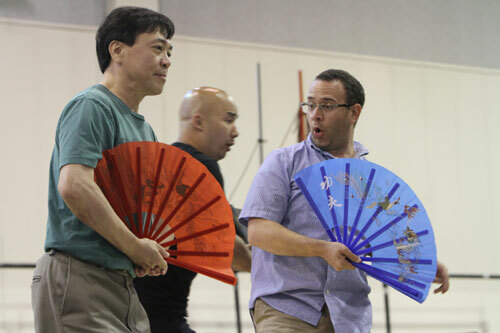 From left to right: Julius Ahn (Pang), Patrick Carfizzi (Ping), and Joseph Hu (Pong) rehearse for Turandot. What makes Ping stand out from Pang and Pong? He definitely has a bit more to say than those other two. He is the Grand Poobah, the honcho. He enjoys his domain, and he also brings worldview into that trio. The other guys are very much regional/local level, in terms of character. Ping, Pang, and Pong were originally figures from commedia dell’arte, much like Dr. Bartolo [in The Barber of Seville], the last character you portrayed for Seattle. Are there basic principles of comedy that apply in both cases? Or are these characters very different? There’s one basic principle of comedy that always applies: comedy is about listening and about situation. So in that regard, there are always similarities when we have a character that has comic elements. I would not, however, consider Ping a comic character. Ping is a person that you laugh with. Ping gives commentary, and he has comic moments. I think he’s the kind of guy you’d want to have a beer with. Bartolo, by contrast, is a man whose faults, failings, and blindness to the reality of what’s going on around him make him someone you laugh at. 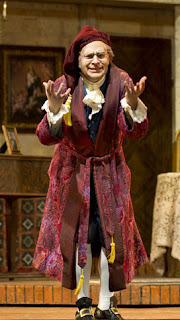 Patrick Carfizzi as Dr. Bartolo in Seattle Opera's 2010 production of The Barber of Seville. In this opera, you play one third of what could be called a “Three-headed character.” Have you ever done anything like this before? I’ve done other ensemble type parts; Gianni Schicchi comes to mind. The family really is a multi-headed character, with all the various good and bad that humanity offers. That’s probably a good parallel to draw. So yes, I’ve had some experience and I love it. I love being part of a three-headed character. I just did Nixon in China, and the three secretaries of Mao are also definitely a three-headed character. 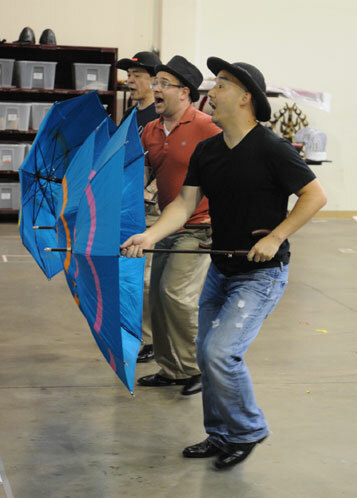 They’re basically a Greek chorus, and there are elements of that in Ping, Pang, and Pong. This kind of ensemble is always a joy, because it has to be about how the three of you collaborate to tell a story. Actually, it’s about how the four of you collaborate, because you can’t play a three-headed character without a real director. You can make it work, but without that set of eyes, it’s hard to find the internal balance that makes the character appear sincere and play sincerely. I’d never worked with Renaud Doucet [stage director and choreographer for Turandot] and I love the level detail, the level of clarity. It’s fantastic. 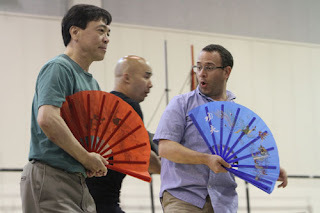 Stage Director and Choreographer Renaud Doucet works with Patrick Carfizzi (Ping) and Julius Ahn (Pang) during a rehearsal for Turandot. How would you describe the relationship between Ping, Pang, and Pong? So no happy hours for the three of you? Oh, no, no, we do happy hours. We do happy ours in the office! No, we do everything. We work together, we perhaps share an apartment together. And yet we do have these other lives we refer to, but clearly we’ve had to put those lives on hold to come and do this job. 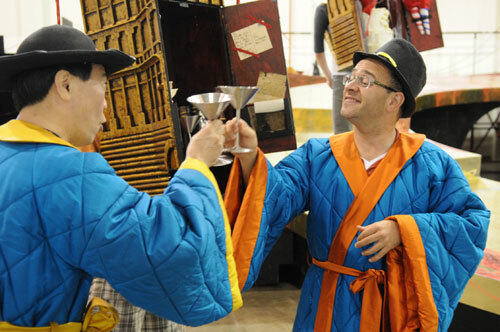 Joseph Hu (Pong) and Patrick Carfizzi (Ping) rehearse for Turandot. We’ve heard that in addition to your busy opera career, you dedicate a lot of your time to charitable work. What are the causes you’re most passionate about? It boils down to two main causes. One is education in the arts—and arts in education—and the other is a mix of gay-related causes, and HIV causes. There’s actually an organization that kind of combines those: Sing for Hope, which is based on the East Coast. They’re great. They do a gala in Houston that benefits Bering Omega, which is the big AIDS hospice in Houston. But as far as the volunteer work I’ve done, it’s been things like doing master classes, going to universities and teaching, and also going as often as possible to high schools and middle schools, and talking to local choirs and that type of thing. For me, it’s really important that we educate the next generation and the current generation, and that we invite them to the art form not simply as audience members but as community members, and as participants in the broader community of the arts, so that they feel they can take part in all the many facets that make up our process. And opera has the great advantage of being the art form that encompasses and embraces so many other art forms. We know that music and the arts influence lives, helps young people, gives people some direction, some discipline. The arts are an essential part of humanity, and the human element is an essential part of the arts. All of us—on the stage or in the office or backstage or in the pit or up front of house—can help people experience that. That’s something that we’re all obligated to do, I feel. And it can be the next Pavarotti that you run into in a young artists program, or it can be a young girl who is playing violin because mommy and daddy want her to play, and one day she’s going to grow up and be a lawyer, but she’s still going to want to see a performance every now and again. It doesn’t matter the level of involvement. However I can help, I’m there. Sign me up. I’m ready. Watching theatrical plays and performances according to studies are one good way to relief and relax from all the stress we are experiencing. Especially to our seniors watching live dramas will help them be entertained. The reason why I always take some time in visiting some opera houses well, yeah apart from good acts and story lines they've got.